12 Ajaw 18 Sip. Drawing by Jorge Pérez de Lara. 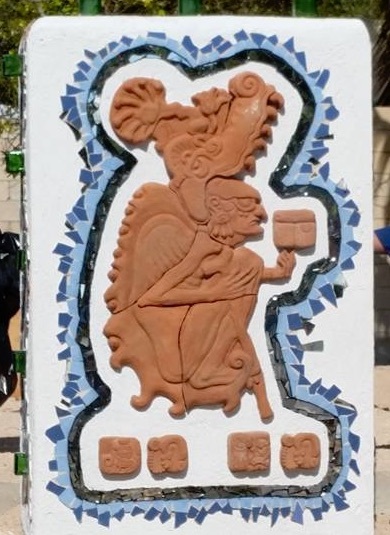 On this Memorial Day, I would like to both celebrate the incredible work of Luis May Ku and the construction of the beautiful Áayin K’uj (Crocodile God) Stela, which he created to commemorate the “21 de Marzo” Primary School in Cobá, Quintana Roo, Mexico. After a year of hard work, dedication, and planning, this beautiful work of art was unveiled this past March 21st, to celebrate the school’s anniversary and the first day of spring. The exquisitely sculpted monument depicts the wise, old anthropomorphic Crocodile God on one side, celebrating an important ancient Maya deity and the local reptilian inhabitants of the Laguna Cobá. The reverse side contains a full Long Count and dedicatory text, with each ceramic glyph lovingly sculpted and individually fired in a kiln. 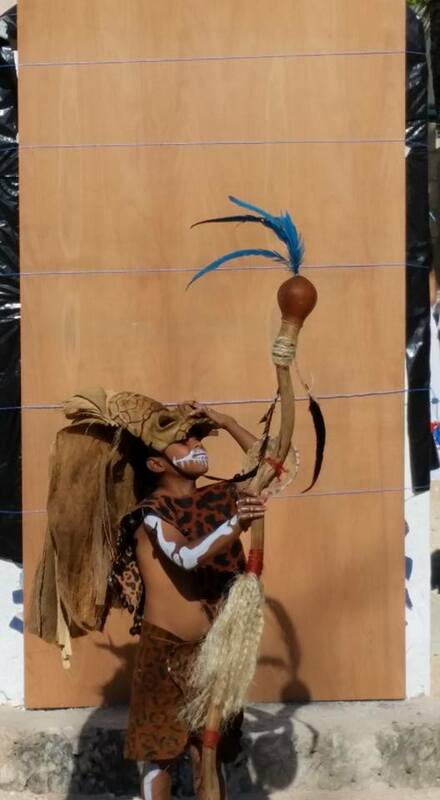 The unveiling of the monument was celebrated with a ritual ceremony in which the children of Cobá participated. 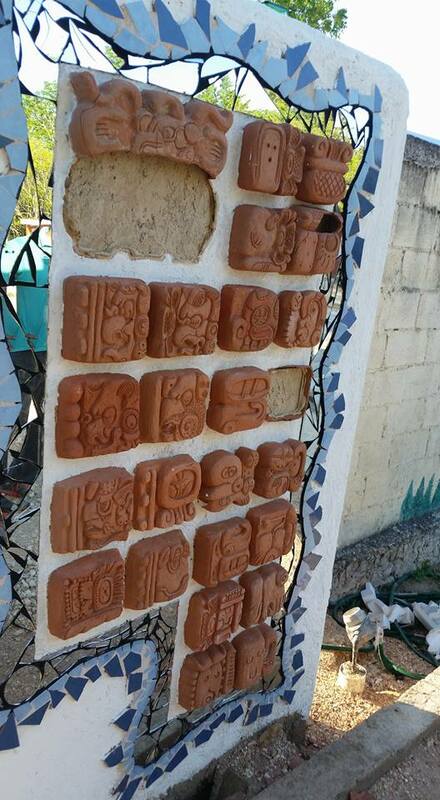 Here are some photographs of the event, and the beautiful stela, decorated with mosaic tile. 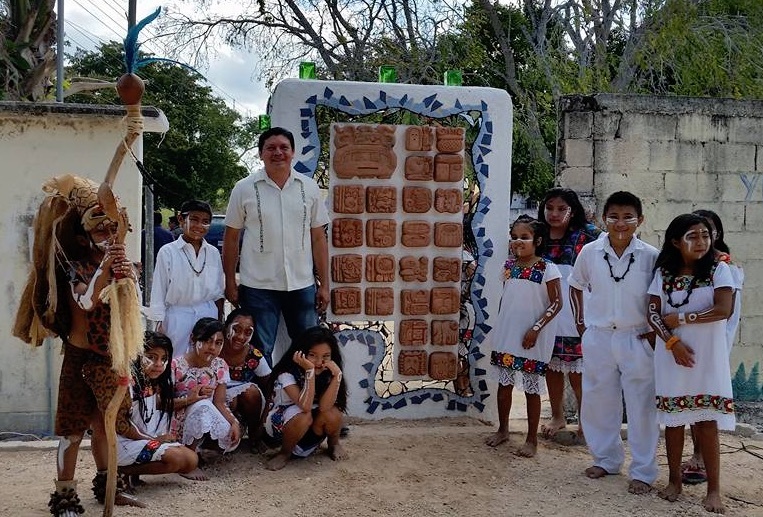 Luis May Ku and the Maya children of Cobá unveil the Áayin K’uj Stela on March 21st. The Shaman dedicates the Stela prior to its unveiling. 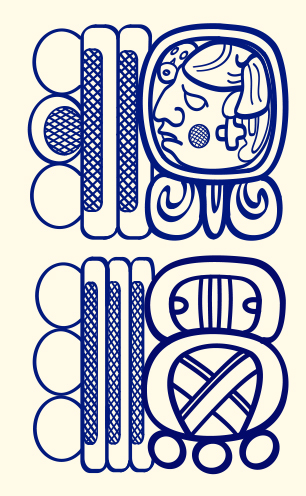 Luis May K’u and the Long Count on the Áayin K’uj Stela. 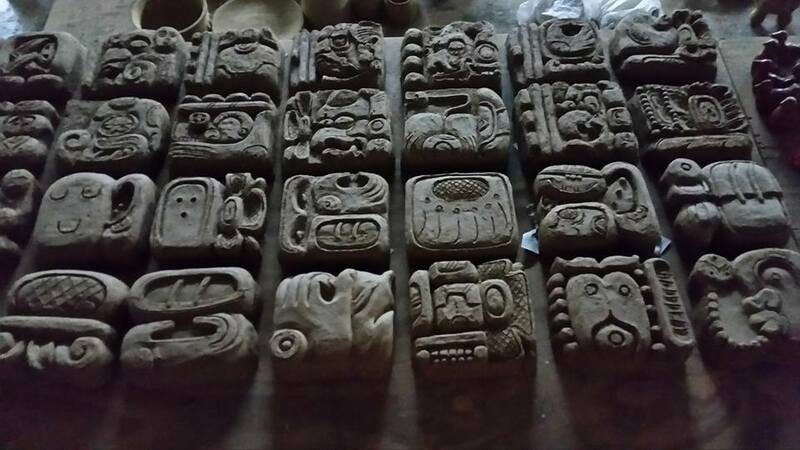 The sculpted clay glyphs waiting to dry. Detail of the damage to the text. 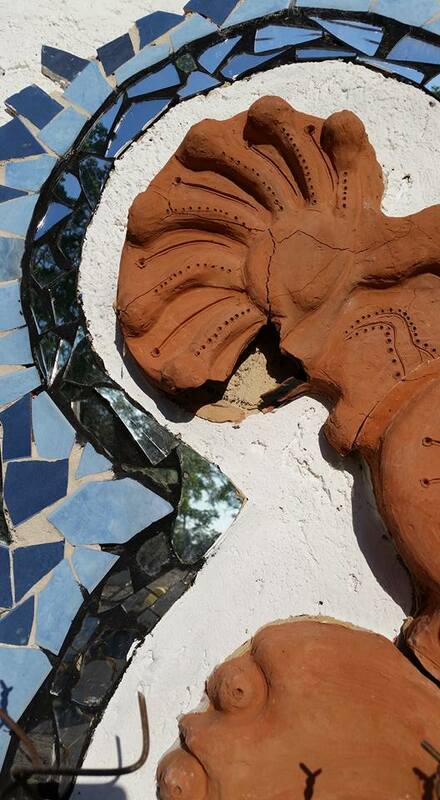 Detail of the damage to the sculpture. Disappointed, yet undaunted, Luis is committed to continuing his work in Cobá, with the hope that more people will understand the importance of Maya history and hieroglyphic writing. 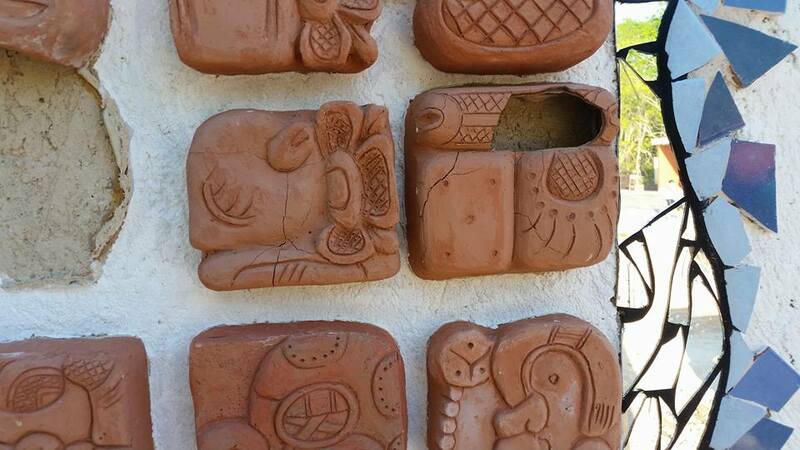 The entirety of the ceramic artwork now has to be removed and replaced, and Luis has told us that he will now use cement, which will be more durable than the ceramic glyphs. 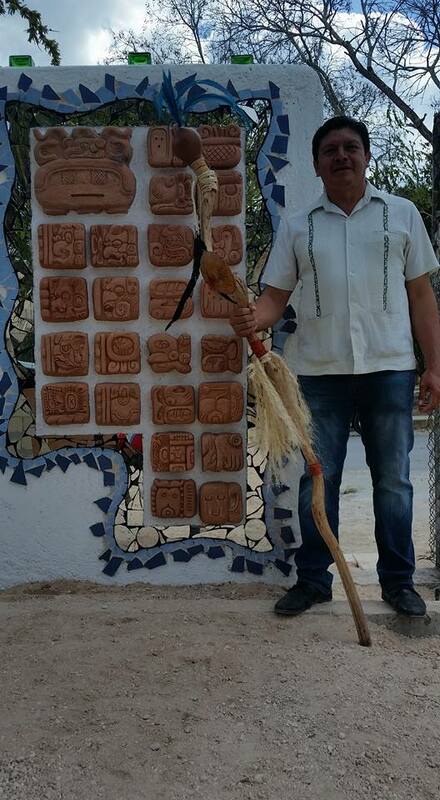 We are helping to fund Luis in his determination to replace and repair the stela, and we are currently funding him under our mini-grant program to erect yet another stela with the children of Cobá this year. In other news, thanks to the generous donations from several of our supporters, we are proud to be also be helping to support a pre-Congreso event to be held in Alta Verapaz, Guatemala this July 11-13, designed to reach out to new Q’eqchi’, Poqomchi’, Sakapulteko, Uspanteko, Achi, Ixil, Mopán, Itzaj, and Ch’orti’ Maya language communities who have not yet participated in the revitalization of Maya writing. We are currently in discussions investigating the possibility of supporting additional such pre-Congreso events throughout the Maya area, and we will be looking into this further as we investigate ways of growing our organization and increasing our budget. Stay tuned! As always, thanks to all of you for your ongoing, generous support.